On 24 May 2010, a huge glass bottle with a ship inside it was raised to the top of the 4th plinth in Trafalgar Square in London, England. Made by Anglo-Nigerian artist Yinka Shonibare it is a replica of Lord Nelson’s flagship, HMS Victory that he used during the Battle of Trafalgar in 1805. It is also the ship he died on 21st October that year. Just like the real ship it has 80 guns and 37 sails. The sails are adorned with Indonesian batik inspired material which had been mass-produced by Dutch traders at the time and sold in West Africa. These designs are now the cornerstone of African identity and fashion. Putting items in bottles can be traced by to the mid 18th century. 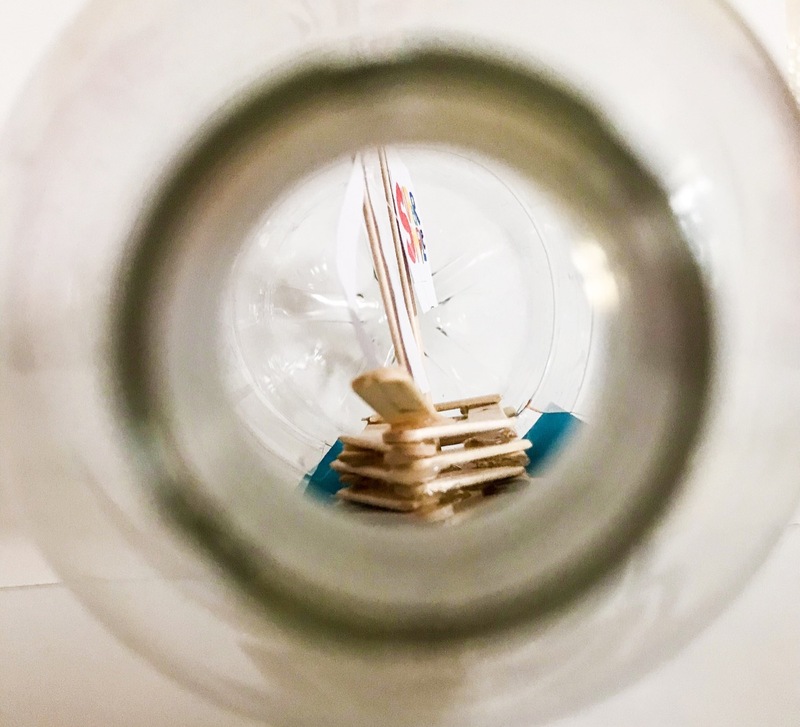 Apart from the letter in a bottle concept, bottles with items inside them from human figures to wooden puzzles have been found. It is thought that the earliest of these examples of the intricately carved ones were made in monasteries by monks who spent tireless hours working on them. The emergence of putting ships inside bottles can be followed back to the mid to late 19th century. When a leap in glass bottle production came about, the glass became thinner and more transparent with less air bubbles obscuring the view. Soon they became popular both in demand and in their creation. Sailors and sea enthusiasts are popularly suggested as the makers. Tales tell of sailors out at sea whittling away to occupy their time. The most common approach to erecting these ships and maneuvering them into a narrow glass necked bottle is through the ‘flatpack’ approach. The IKEA of the 19th century. 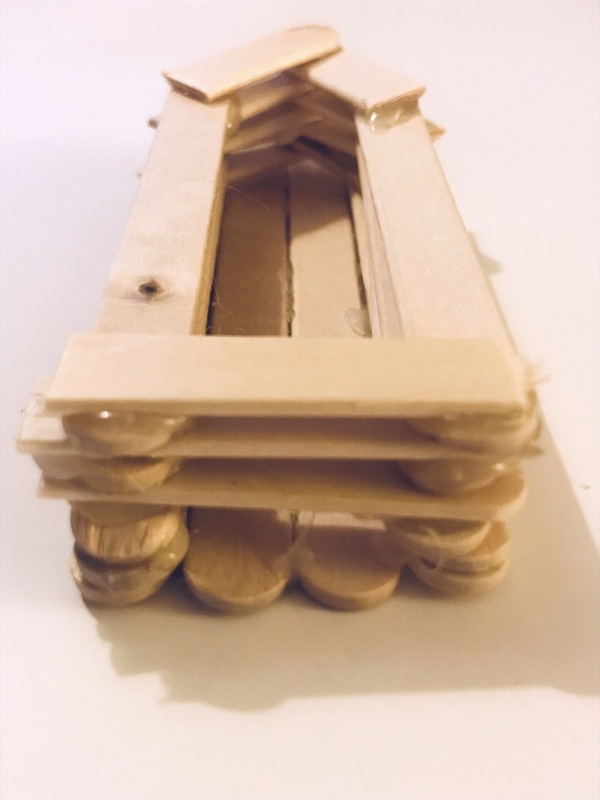 The hull is generally whittled down from a solid piece of wood, while the sails, pulleys and rigging were flat packed with hinges and thin thread threaded through small holes in the design. This meant they could slip through the neck of the bottle, secured into place on a sea of blue putty, representing the sea. Using the rigging which would be thread through different parts of the boat, you erect the ship by pulling the rigging through the guide holes. By the 20th century, with the creation of new, faster ships on the seas, so ships in bottles became more diverse in design. They became more complicated with addition backgrounds and models of lighthouses, dioramas of towns and landmarks. Even in the 21st century this craft continues to be kindled worldwide with pieces still being made from scratch. 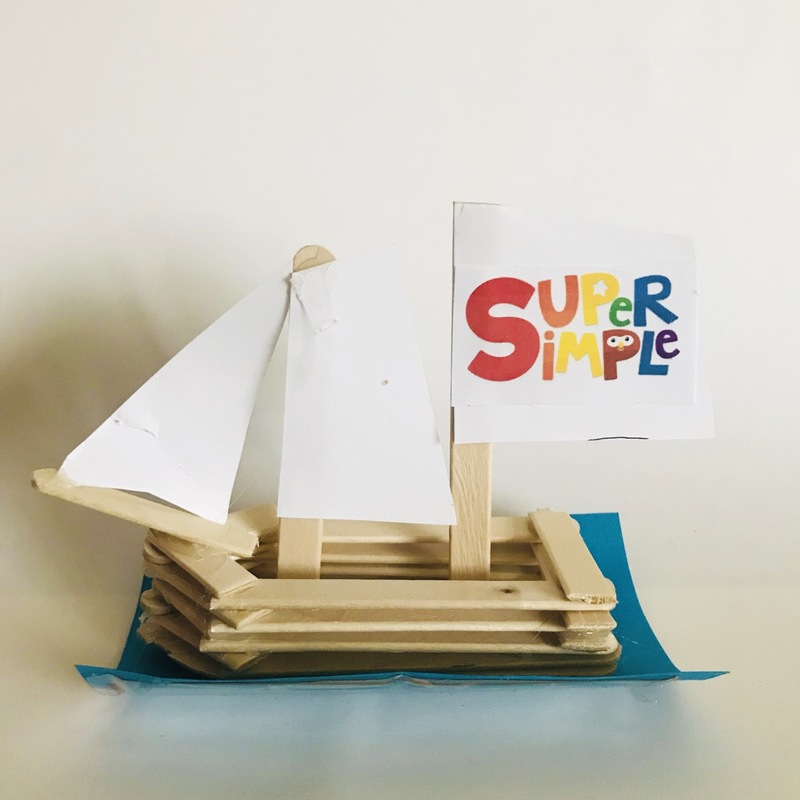 Now, we can even buy ready made Ship in a bottle kits, for all ages. 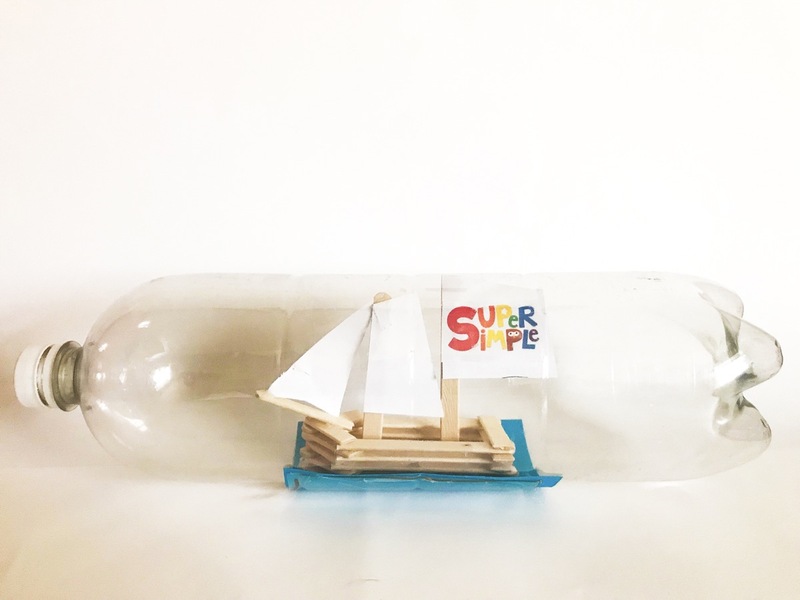 So join us and create your very own ship in a bottle! 1 litre plastic round bottle of something. 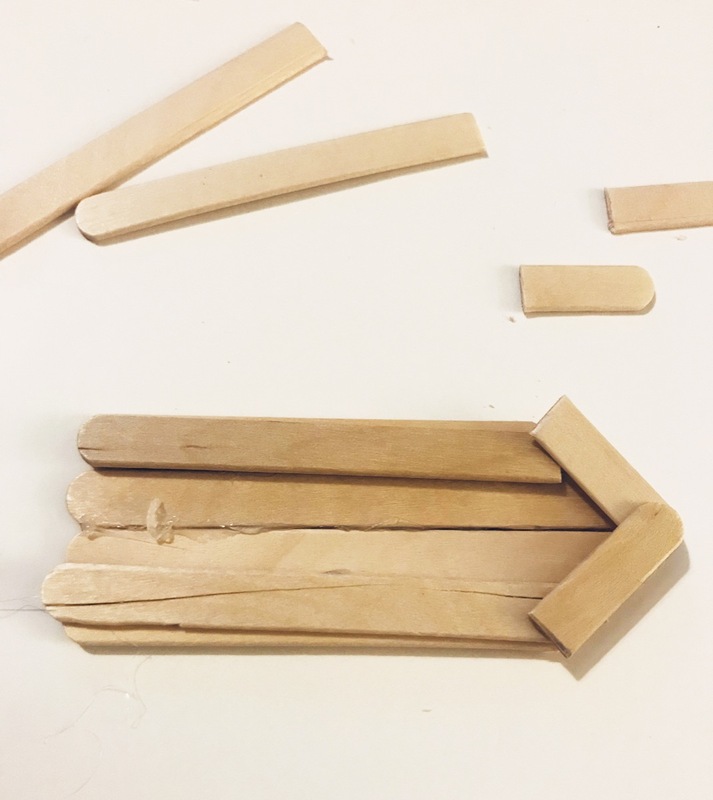 Lay our four popsicle sticks and draw a arrow headed line across one side to make the shape of the ship. Using the sharp scissors, you the parent cut along these lines. Once cut, glue them all together side by side. 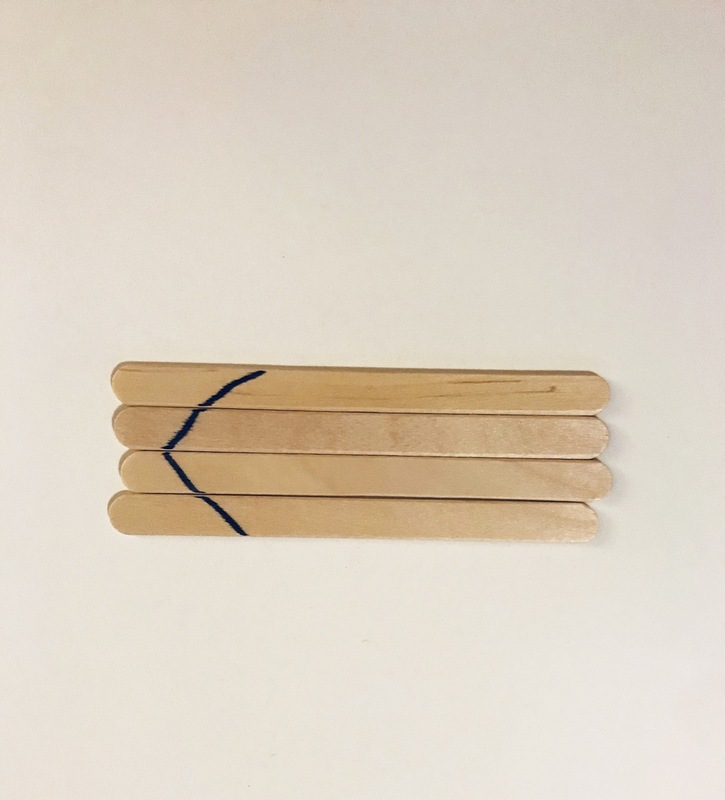 Take 10 popsicle sticks and cut a quarter off of each one. Do not discard them, keep them, you will need them for the front of the ship. 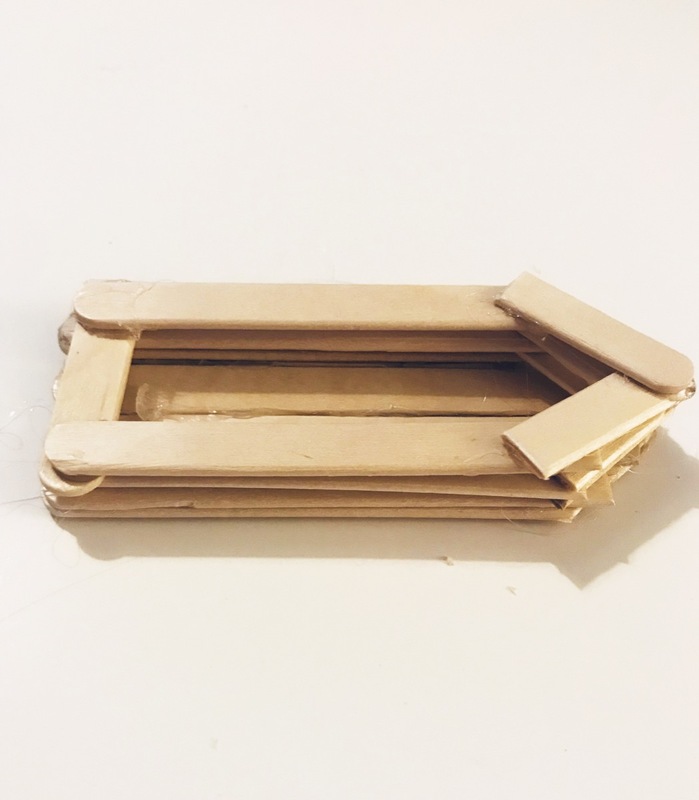 Using your glue gun, start gluing the first layer down, overlapping the little pieces that make the front. 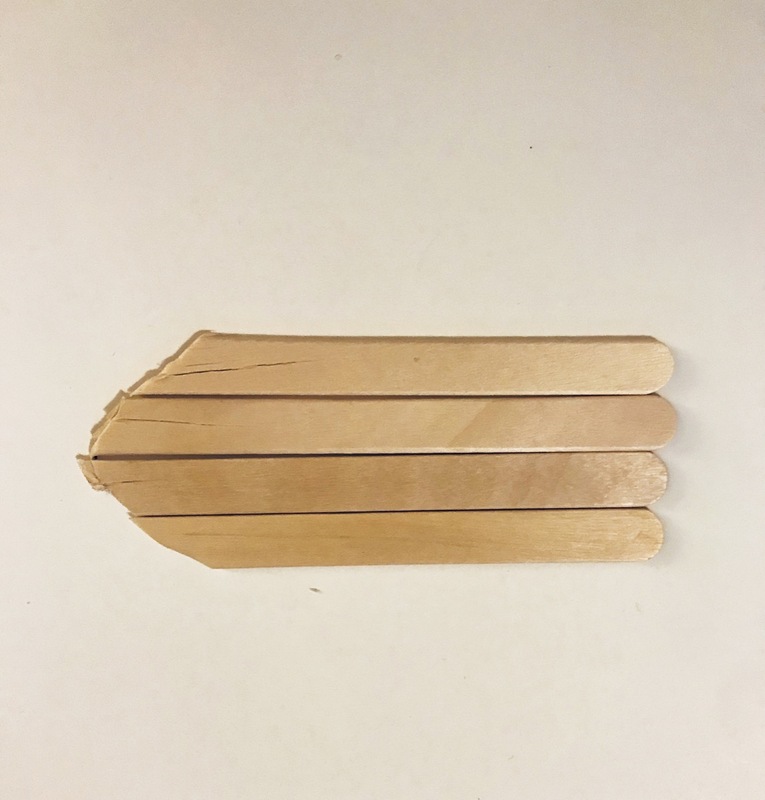 With another popsicle stick cut it in three equals this will become the back to the boat. 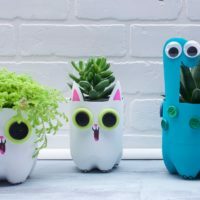 Glue these down, overlapping and taking in turns. 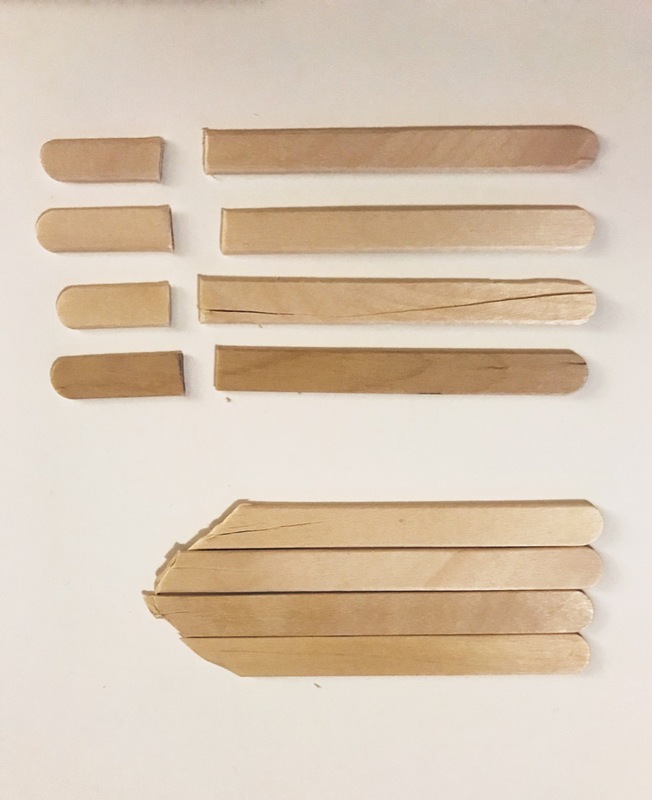 Take two more popsicle sticks and on one of them cut 2 cm off. Draw out your sails and cut them out. 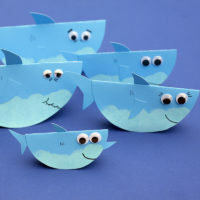 Get your kids to decorate them with maritime themes. Is your ship a pirate ship or a legal ship?! 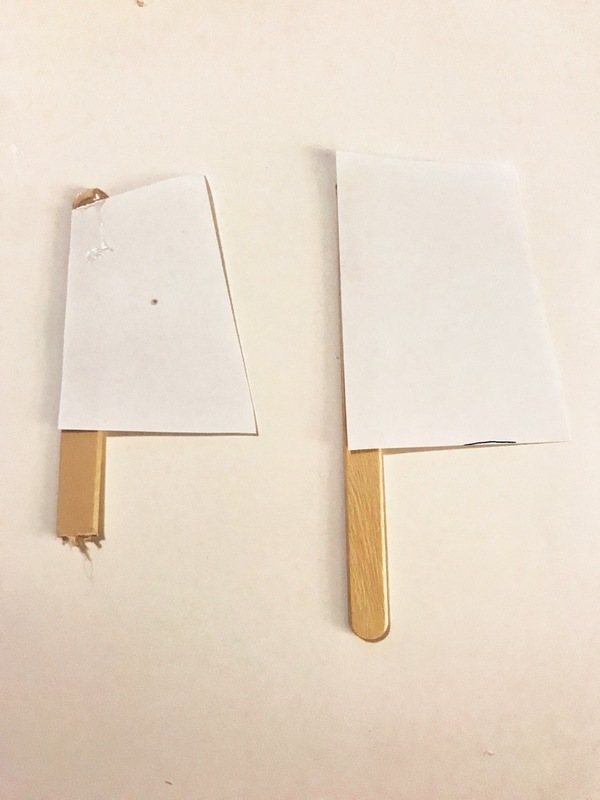 Glue the sails on to the popsicle sticks. 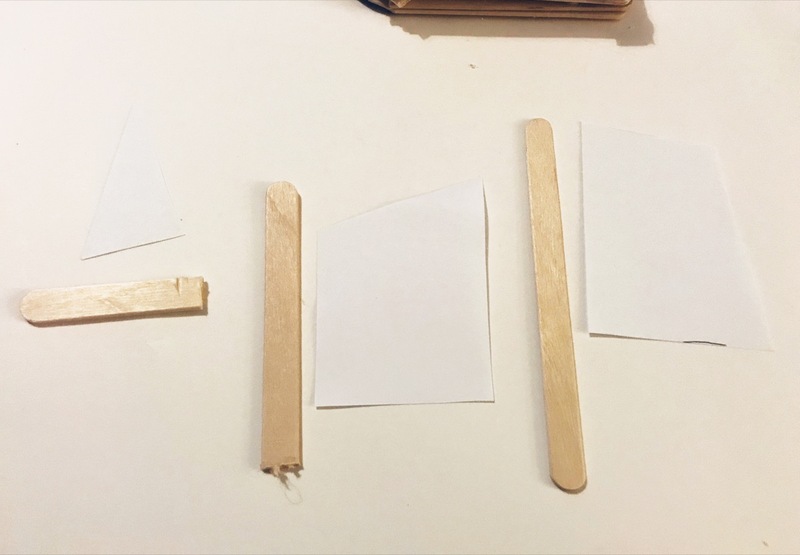 Put dollops of glue on the bottom of the ship and press your ship sail popsicle sticks into the glue and hold until they dry. 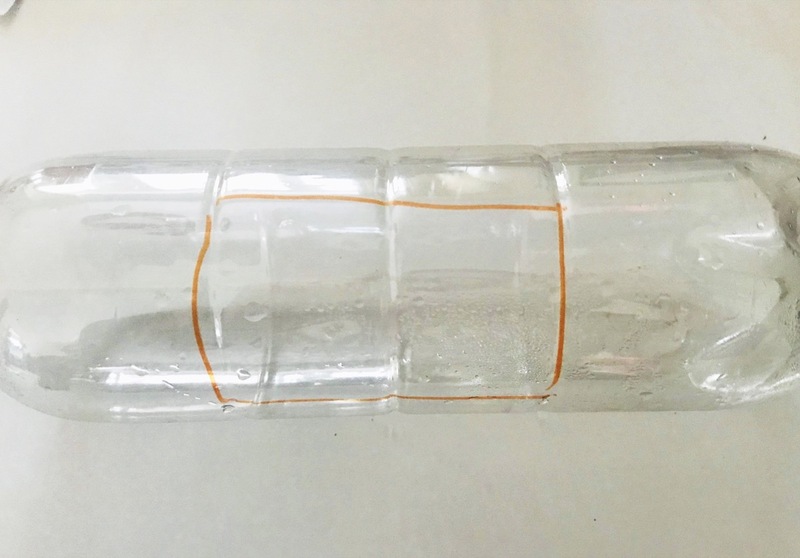 Measure out your ship on the plastic bottle, now add half a centimetre to each side. 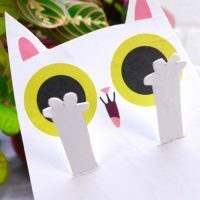 Draw a rectangle around it and cut it out. 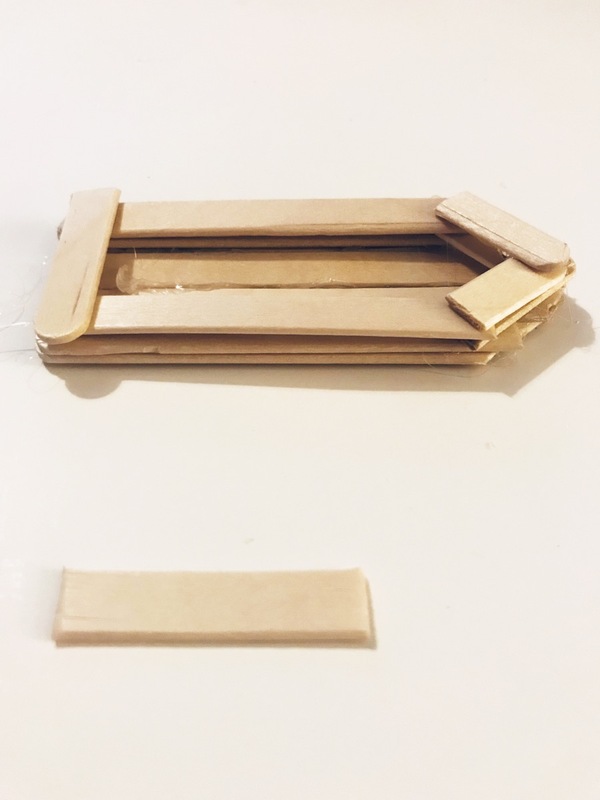 Measure out some blue paper to fit on this plastic cut out part and glue it down. 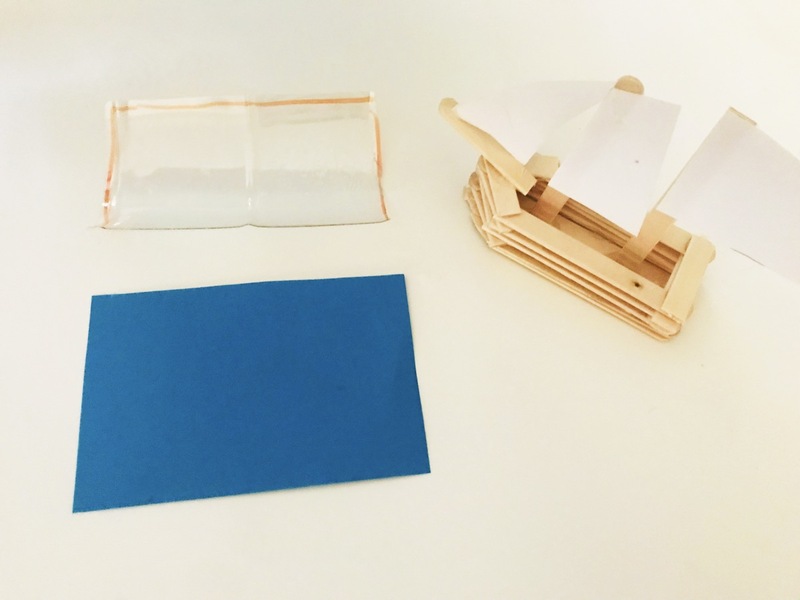 Before you glue your ship down on to the paper, make sure that the sails aren’t too tall to fit inside the bottle. If they need trimming do so. Slowly fit your ship into the bottle and ta da you have your very own ship in a bottle! 1) We didn’t attach the ship part to the bottle. This way, it meant we could play with the ship in water. Go on try it on some water, it should float! 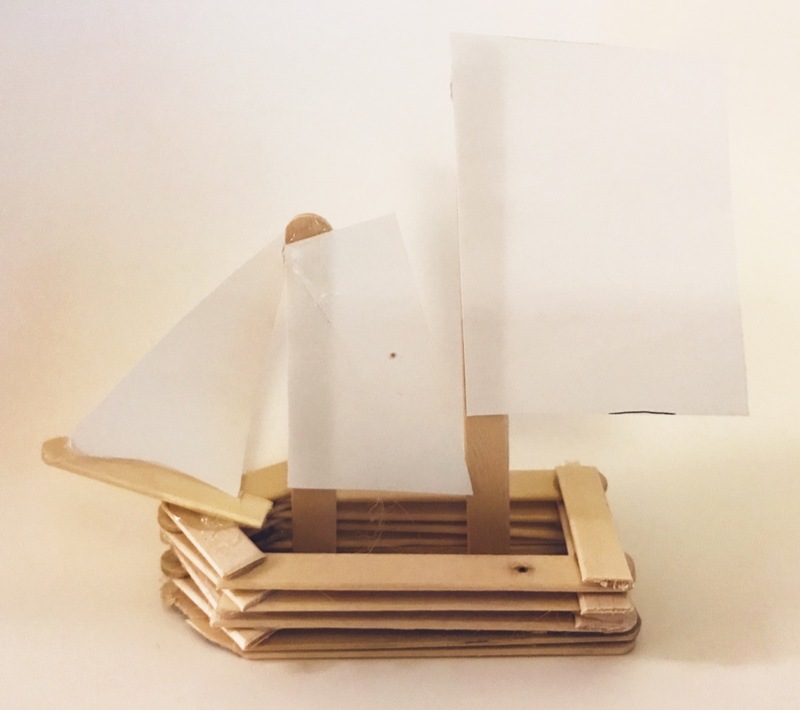 2) If you would rather take a short cut, then skip out the popsicle stick ship. Instead why not buy a little figure of a ship and glue it to the bottom of the bottle, adding any sea and background if you wish. Ta, super easy and simple short cut for you to do. Want to know even more about maritime flags? What flags will you display on your ship?